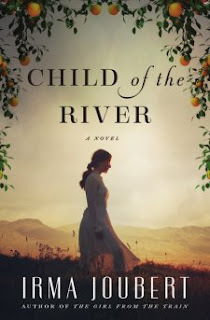 "Child of the River" by Irma Joubert is the story of Persomi: middle child of poor, white sharecroppers in South Africa during apartheid and World War II. and why her life -- and every life matters." The distinction made in the novel between "real" children and those that are children of bywoners (sharecroppers) is significant in understanding where Persomi comes from. As the novel progresses, Persomi is continually trying to find her place in the world -- a world that isn't always welcoming of an intelligent girl from a poor family. With the arrival of World War 2, Persomi finds herself caught between conflicting views of war as they are represented by the people she loves most. Themes of apartheid affect her life as well and she finds herself standing up for the equality of all races -- even though many of those closest to her disagree with her stand. The main stand she takes is against the Asiatic Land Tenure and Indian Representation Act -- where the location of residences and businesses were determined by racial classification. After putting herself through law school, Persomi fights for the rights of her East Indian friend and his family. Learning more about South Africa's history through the eyes of Persomi was enlightening, but Persomi's personal story is also intriguing. Plagued by family secrets and overwhelmed by a longing for love, Persomi's story is compelling to read. Thankfully there is no foul language in this novel, but please keep in mind there are certain mature themes at the beginning of the book that are minorly addressed. This book is a good read for any adult reader -- especially if you like reading historical fiction.